Just last week, Superkarts! USA passed a milestone in its history, as April 16 marked the 9th anniversary of the launch of the Superkarts! USA Pro Tour. In 2010, the program made its debut in Sonoma, California, hosting the first-ever SpringNationals. The SKUSA Pro Tour has grown in leaps and bounds since those first laps, and the program is preparing to host the 10th edition of the May event. This year’s SpringNationals features a return to the Salt Lake City area, and the Utah Motorsports Campus in Erda, Utah, to be specific. 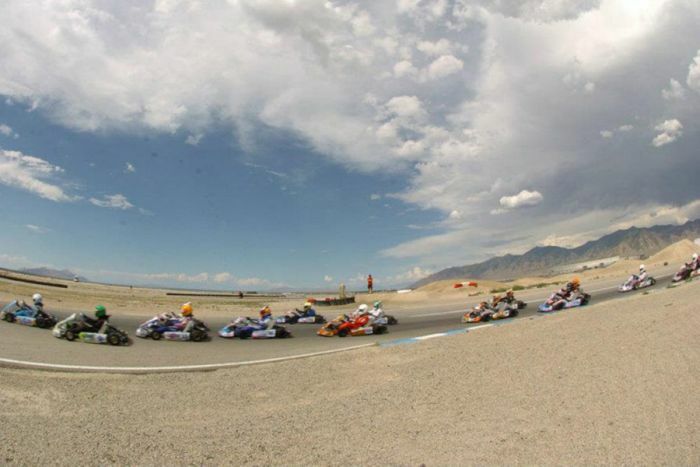 SKUSA visited the 13-year-old facility for the first time in 2012, then known as Miller Motorsports Park, for the SummerNationals that championship season. A portion of the $162,000 prize package for the 2019 Superkarts! USA Pro Tour will be up-for-grabs at the SpringNationals in Utah. Another round of Evinco tires are to be handed out each day at the podium, with all of the top-three finishers taking home one set. The combined $5,000 guaranteed weekend cash payout for X30 Senior and X30 Junior is on the line in those two divisions, with a cool $1000 going to the driver with the most points over the two days of competition. Pro Shifter, Pro Shifter 2 and G1 Gladiator are fighting for a free entry toward the SKUSA Pro Tour SummerNationals for the top points earner. All other remaining classes will have a potential $1,000 weekend purse should the driver entry total reach 30. The chase for the $74,000 in prizes for the SKUSA Pro Tour Championship program continues – including the four 2019 IAME International Final tickets – with drivers at the WinterNationals solidifying their positions in the hunt for a portion of that purse. Superkarts! USA competition returned to its roots with the re-launch of the Great Lakes ProKart Challenge regional program, hosting Rounds One and Two at the New Castle Motorsports Park this past weekend. The four-race series will travel to three tracks this season, including the Concept Haulers Motor Speedway, CTECH Manufacturing Motorplex at Road America and closing out the year with a return to the New Castle Motorsports Park in early August. 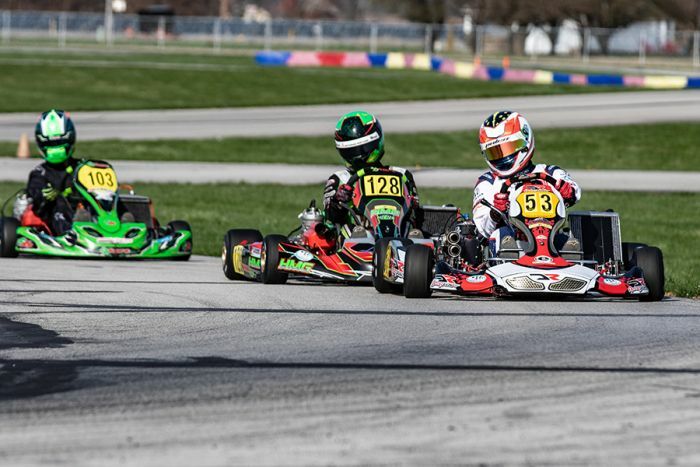 Carrying the professional image and execution the SKUSA programs have become known for, the Great Lakes PKC series presented by HMG – TB Kart Indy will offer drivers of all experience and skill level a place to experience the next step of competition in an inclusive, fun environment. The new program, led by Joe Janowski, will be home to some of the best shifter and TaG racing the Midwest has to offer, and has already made its mark following the first event of the season. The Utah Motorsports Campus will be holding open testing throughout the weekend prior to the SKUSA SpringNationals. It will be open to all entrants Friday, Saturday & Sunday, April 26, 27, & 28. The configuration will be the same as for the SpringNationals: StarTrek clockwise. Sign up for each of the 3 days on the UMC MotorsportReg.com account: UMC Test & Tune. (Look for the events titled UMC Karting T&T for the 26th, 27th, 28th) This link also gives the tentative weekend schedule, and a few other important details. Please note that each practice day has its own event registration. Pre-Entry is $100 online for each of the three practice days and on-site Registration $120 per day. Early registration is appreciated. Entry includes the driver’s and one additional hot grid wristband. Entry to the paddock will be available on Friday, April 26th beginning at 6:30am. Teams or Drivers who have paid for a reserved pit space in the first 2 rows for the SKUSA SpringNationals will be able to park in their same spaces and leave their tent and/or trailer in place for the duration of the SKUSA SpringNationals event. Those reserved in the 3rd row will be escorted to a temporary pit spot for testing, and then will be able to pit in place starting Tuesday, 4/30. Responding to requests from many competitors and builders we are making the following change to our oil regulations. We have had requests to add a 9-tooth sprocket to the available approved gears for these engines. The part number is X30125553-C and is currently in stock at both IAME East and IAME West and available through your dealer.